GCB forming bolinger band squeeze. When will it break out? Stochastic %K already trigger SELL call, pending confirmation. 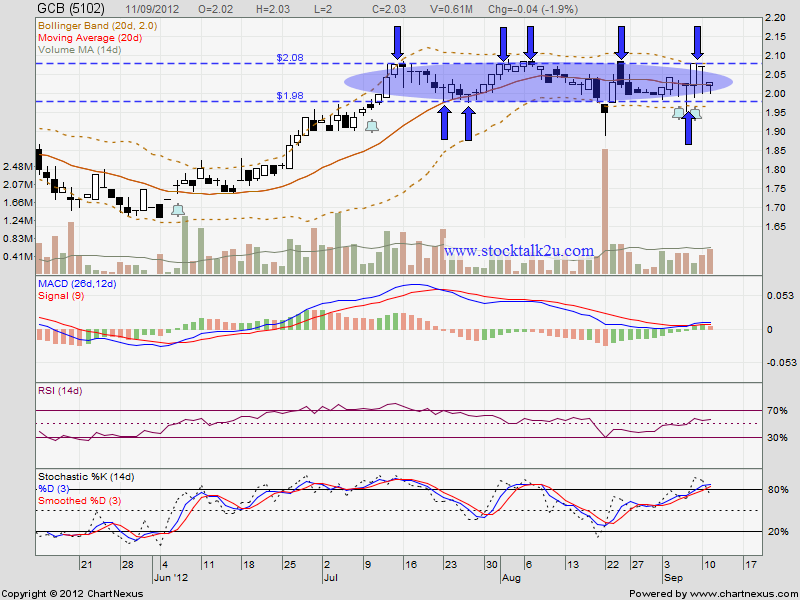 If break down RM1.98 level, it might be facing selling preasure. 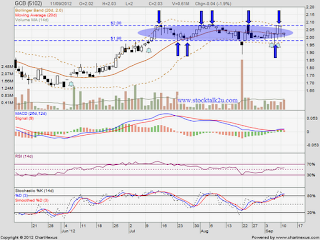 If break through RM2.08 level, higher high is confirmed & uptrend will be continue.